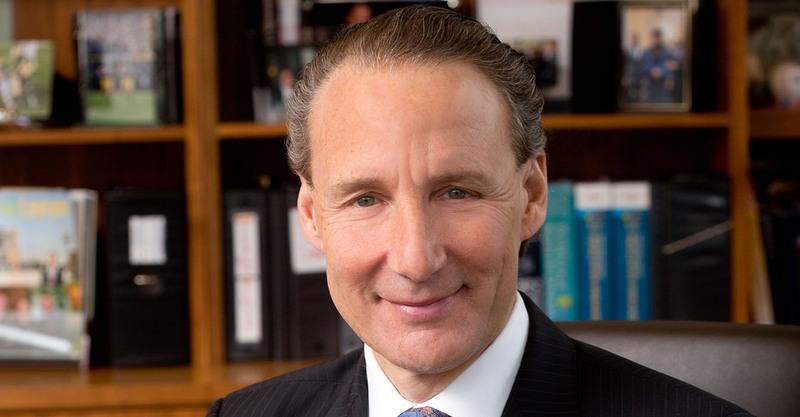 Salvi, Schostok & Pritchard prides itself on “extraordinary results,” and it’s hard to argue with the impressive record the firm has amassed since Patrick A. Salvi founded the firm in 1982. The firm, which has offices in Chicago and Waukegan, Ill., has earned hundreds of multimillion-dollar verdicts and settlements totaling more than a billion dollars for clients in personal injury, medical malpractice, product liability and wrongful death cases. Salvi earned a spot on this year’s Lawdragon 500 Leading Lawyers guide, as did his son, fellow University of Notre Dame Law School graduate Patrick A. Salvi II. Lawdragon: How did you first become interested in representing injured plaintiffs? Patrick Salvi: Early on in my practice, I did a general practice of law but wanted to be in court representing my clients. I soon found the most interesting and intriguing area of practice is in the civil area involving personal injury cases brought by plaintiffs, as opposed to criminal law or a similar practice. LD: Can you share a few aspects about this work that you find professionally satisfying? PS: The main part of my legal practice that I find most satisfying is that we have an opportunity to help people in some of their most desperate times, after they have suffered a terrible injury or the loss of a loved one. We have the ability to relieve the financial burden that clients would have, and that gives them great comfort. Also, each case is very different. So as a personal injury attorney, you can learn about many different things other than the law, whether it be a certain disease process or surgical procedure in a medical malpractice case, or certain principles of science, engineering or physics in a product liability case or transportation negligence case. These interesting parts of the practice have kept me at it over the years. LD: Looking back, is there a case from your career that stands out as especially memorable? PS: I handled a case about 20 years ago where I represented a very seriously injured baby in a medical malpractice case in a very rural community that I was told was very conservative and favorable to doctors and hospitals. But I worked very hard on the case and not only won the trial and a record verdict, but the case went on appeal on various issues that to this day are frequently cited in cases. The family and myself became very close and we stay in contact to this day. PS: I always like to believe I am the most prepared lawyer in the courtroom. I am a little bit old school. I act like myself and try to be conversational with the jury, but I may be a little more formal in interacting with my opponents or the court. LD: Do you have any special routines before or during a trial? PS: I have a very specialized way I prepare a case and a routine of planning my preparation leading up to the trial. During the trial, I try to remain flexible in terms of knowing that things are not going to go precisely as expected. But my routine would be to try to win every day, if you can. LD: Why did you choose Notre Dame over other options you might have had? PS: I always thought Notre Dame was one of the best law schools in the country. We also have a close familial relationship with Notre Dame. So my loyalty and affection for the university, together with their reputation, were the reasons I chose to attend Notre Dame for law school. LD: What do you wish you had known or done differently in school? Or, put another way, do you have advice now for current law school students? PS: I don’t know that I would do anything differently. Except, the conventional wisdom in some circles back in the day was that political science – or some kind of similar study – was a natural course of study prior to law school. I don’t really think that is the case now. I think you can be in any field of study. In fact, the broader area of knowledge that you have, whether it be medicine, engineering, business, or even another language would be extremely helpful. So if I had to do it over again, I would have had a broader area of study going into law school rather than focusing in on political science. PS: I would say the personal injury field is much more competitive and detail-oriented these days. There is more TV, billboard, and other advertising than ever before. Overall, I think it has hurt the reputation of personal injury lawyers. The internet also plays a very important role in terms of people finding lawyers and just being more sophisticated in regards to cases, lawyers, and how verdicts and settlements work. The jurors are much more sophisticated and not in any means intimidated by the process, lawyers, or even the judge. LD: Did you have a mentor who was particularly important for the course of your career? PS: I didn’t really have one mentor, except maybe my father who kind of steered me in the direction of practicing law as a profession. I would say that the lawyers I admired the most were prominent personal injury lawyers. I thought they were the best lawyers and had the most charisma and competency. That drew me to that area of practice. LD: What led you to start your own firm? PS: I started my own law firm because I wanted to be my own boss, do things my way, and be responsible only to myself and my clients. LD: What advice would you give to lawyers looking to start out on their own? PS: You have to plan well in advance and be prepared for some lean times. Additionally, you have to make sure that you are well capitalized and have malpractice insurance. But if you really want to do it and you plan it right, don’t be afraid of the risk. You eventually have to make the leap. LD: There are many high-quality firms out there. How is your firm unique? PS: At Salvi, Schostok & Pritchard, we try to emphasize the fact that since we specialize in an area, we insist on producing extraordinary results – results that only a small handful of firms could ever expect to produce. That is very important. We make sure all the lawyers and staff understand that the client is golden and has to be treated accordingly with great respect, affection, and compassion as well as getting them a great result. LD: What do you look for in young lawyers or staff who may join? PS: I look for people with a great work ethic who are team players, competitive, friendly, highly competent, and think no job is too big or too small. We want somebody who is proud to be in the firm and will do whatever is necessary to make the firm great and take care of the clients. LD: What do you do for fun when you’re outside the office? PS: I love to work out, travel with my family and with my wife, and just do stuff with my family locally, whether it be a play, movie, family dinners, or anything of that nature. Family get togethers are a great joy for me. I also own and operate professional minor league baseball franchises and that is a great deal of fun and enjoyment. It is very different and separate from the law firm, so I enjoy learning the business of sports. LD: What pro bono or public interest activities is the firm involved with? PS: We are involved in pro bono legal work and legal charitable organizations that provide legal services to the poor. We try to remain involved in other public interest activities, including politics because that is part of what is necessary to maintain the integrity of your practice.